Home to the rich and famous-and to one of the country's most recognized zip codes, 90210-Beverly Hills is a great place to both see and be seen. People aren't the only things worth watching in this classy California community, however. There's a wealth of stylish sites and shops, too, which no visitor should leave without exploring. Most-including high-end retailers like Giorgio Armani, Burberry, Cartier, Christian Dior, Coach, Gucci, Louis Vuitton, Prada, Tiffany & Co. and Versace-are seated along Rodeo Drive, which at three blocks long is perhaps the most famous stretch of shopping in the United States. 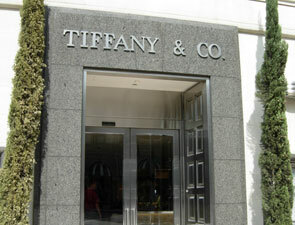 You don't have to exercise your credit card, though, to flex your sightseeing muscles in Beverly Hills. 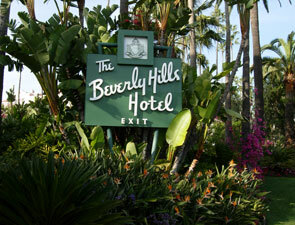 The city is also home to the historic Beverly Hills Hotel (9641 Sunset Blvd. ), which is surrounded by 12 gorgeous acres of gardens and walkways. Known to locals as "The Pink Palace," the hotel has attracted many celebrity guests since it opened in 1912, including Marilyn Monroe, Charlie Chaplin, Howard Hughes, John F. Kennedy, Elizabeth Taylor, John Lennon and John Wayne. And if it's star power that you crave, Hollywood and Studio City are just a short drive away. At the former, visitors can see the Hollywood Walk of Fame and Grauman's Chinese Theatre. At the latter, they can tour any number of movie and television studios, and even catch a live taping of their favorite program.